Throughout his life, Garryowen kept numerous notes recording the daily happenings in the settlement, paying special attention to the little details of people's lives and the public events around him. No one was safe from his keen eye and wicked sense of humour. Garryowen/Edmund Finn came to Melbourne as a young man, in 1841. 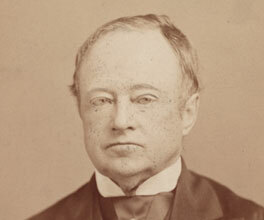 He worked at the Port Phillip Herald for 13 years, and then became the clerk of the Legislative Council of Victoria. In this role he met Charles Gavin Duffy, a Member of Parliament and fellow Irishman. On hearing Finn's amusing tales of life in early Melbourne, Duffy urged him to write an anecdotal history. The resulting 1000-page work was published as The Chronicles of Early Melbourne in 1888. He had a black beard and moustache and was informed that Melbournians distrusted people, especially professionals, with other than closely shaved faces. Whiskers of moderate dimensions might be tolerated, but as far as any medical practitioners who sported moustaches [...] it was simply preposterous! Three aboriginal women and a child were barbarously shot by a party of white demons in the Western District; and though the Government offered a large reward, and the three persons were tried the following year for the massacre, no conviction was obtained, and the blood-stained slayers, whoever they were, escaped, ‘unwhipt of justice'. In colonial Melbourne, stereotypes and cultural misunderstandings meant that it was quite rare for Aborigines to receive justice from the courts. Garryowen's observations give readers a surprisingly accurate account of the people, events and relationships that shaped the settlement of Port Phillip. They are the basis for much of our understanding of life in the colony. After some initial problems, Melbourne's city grid became an iconic feature of a rapidly growing town.